This is not much to look at, but this is delish!! Two thumbs up from me. Way better than what I've been buying in the stores. The funny thing is that it's actually roasted red bell pepper hummus, but I failed to get the red peppers, so it was absent and still really tasty. I think the sriracha really helped. The roasted peppers are also available in jars and I will probably try that next time. Thanks Haldan and Mike for helping. Our hand processor recently died, so we had to rely on our blender. It was a little tricky, but Mike had the patience it required. So, it is possible to make if you don't have a food processor, just may take a little longer. The ingredients were a little hard to find. After trying several stores we finally went to Jo Jo's Oriental Market in the Town and Country shopping plaza. If you've never been it's worth a stop. I thought it might help to have a picture of what you're looking for. I actually googled it at Target when I first started looking. 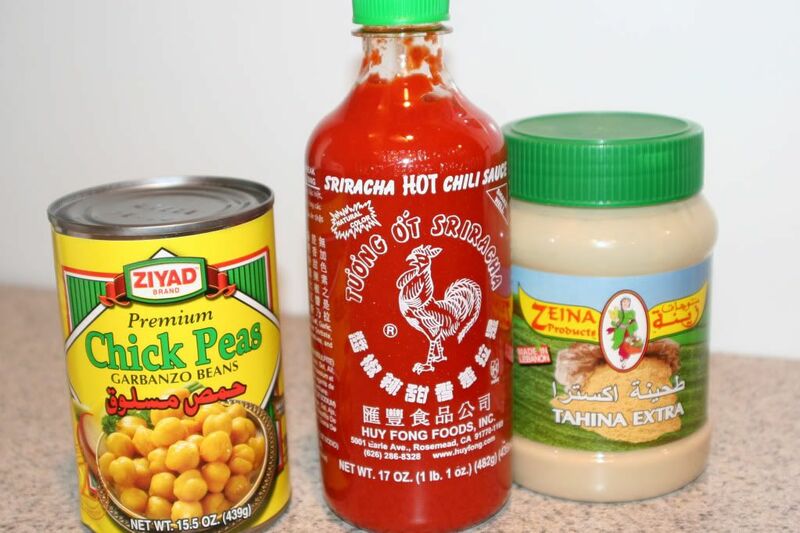 I admit, these are new ingredients for my pantry. This is one of the 3 foods I've been craving for several weeks now, so we went ahead and bought several cans of chick peas. Now I'm set. 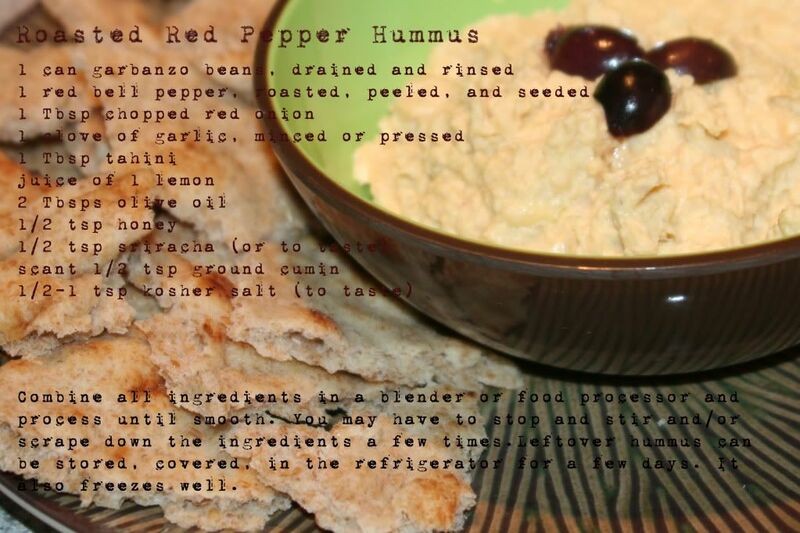 If you haven't yet tried red pepper hummus you're totally missing out! This recipe actually comes from "pinch my salt". Go here to check it out. They have food, recipes, and photography and it's one of my new favorites.